For the last few years the former Comcast store at Northeast 31st and Sandy sat empty—a property whose time had come—and then gone. PORTLAND, Ore. — A large Lexus dealership will take over the mostly vacant lot on Portland’s Sandy Boulevard at NE 31st. Its acre and a half campus, mostly asphalt, became a constant attraction for homeless campers. But now change is on the way, dramatic change. “Oh my!” said realtor Mindy Sullivan when I showed her the designs at her office just across the street. “We've been keeping mum because we found out what was going in over there and we were told to put a zip on it. So it will be nice to see that area in use and fewer people using it as a camp ground,” she said. 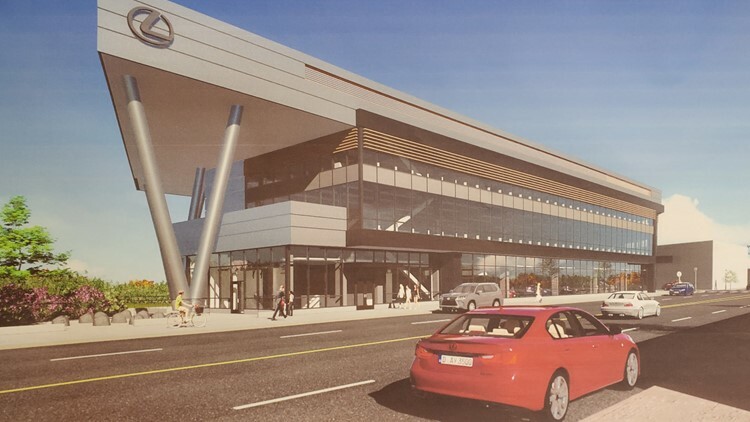 The Lexus dealership will stand four stories tall with an independent coffee shop on the ground floor next to a showroom. The second and third floors will have more showroom space and the fourth floor will hold employee parking. The basement will house service work on cars. Chuck Slothower from the Daily Journal of Commerce first reported on the new dealership. He said it's a sign that despite a changing neighborhood and more density, Sandy Boulevard will keep its commercial identity. 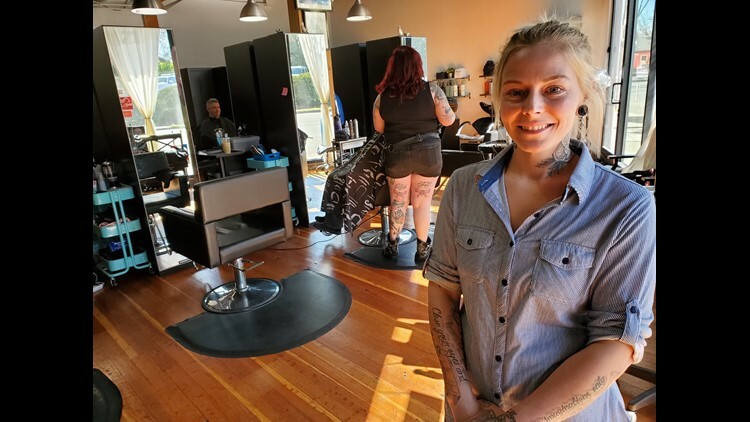 Next door at Kelz Beauty and Barbering, Krysta Schmitz will be glad to see the old building disappear. “Yeah! Or like the desolate parking lot? Yeah, be a lot better. Bring up the image of the street for sure,” she said. Kelz owner Kelli Gasaway agreed. “That's nuts!” she said looking at a design picture of the Lexus dealership for the first time. “Wow- that's great!” she added. The Daily Journal of Commerce reported the destruction of the old building and property will begin in April or May and new construction of the dealership will likely begin in September.